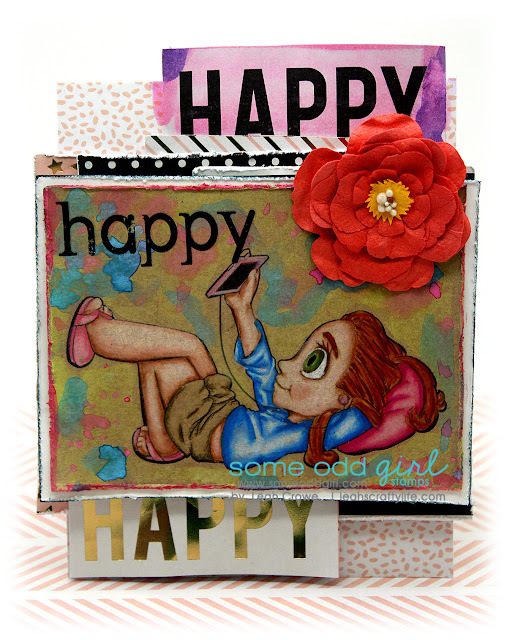 Today on the Some Odd Girl Blog, I have a small tutorial card featuring the new digital stamp, Tunes Tia. She is so reminiscent of our teens ands pre-teens these days. She's perfect! On the SOG blog, I shared how I created the background for Tunes Tia on Kraft card stock. I also colored her up with Prismacolor Pencils.